"A second consequence is that for man, knowledge of self presupposes knowledge of the Imam. On the basis of the statement of the fourth Imam that 'Knowledge of God is knowledge of the Imam', our texts repeat: 'He who dies without having known the Imam, dies the death of the oblivious'. 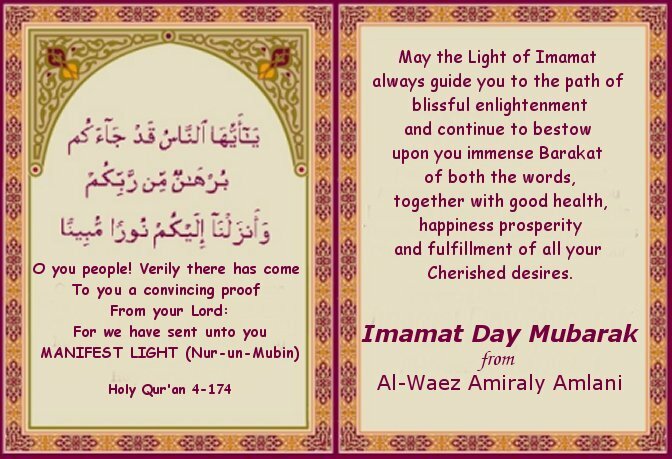 The reason for this may be sought in the specific interpretation given to the maxim repeated by all Islamic spirituals: 'He who knows himself knows his Lord, that is to say, he knows his Imam.' this is the knowledge that was promised by the first Imam: 'Be faithful to me, and I will make you as similar to myself as Salman.' It emerges from these texts that knowledge of God, of the Imam and of the the self are aspects of one and the same fundamental, liberating knowledge, of the same gnosis."